After breakfast, head out early to spend the day in Cherrapunjee, experiencing attractions in and around the town. See the Mawsmai caves, beautiful Dainthlen Falls, Nohkalikai Falls, and the Seven Sister Falls at the Eco Park. In the afternoon, arrive at Tryna village to start the trek to Nongriat village. The trek takes about 2 hours to walk down the valley to the village. Spend the night at the quaint village. After breakfast, visit the Double-decker living root bridge and the beautiful village before starting the trek back to the Tryna village. On the way back you will see many beautiful and worth clicking rivulets, pools, etc. After lunch, ride with the group to the cleanest village in Asia - Mawlynnong! After Breakfast, head for village walk in Mawlynnong, the cleanest village in Asia: see the balancing rock, the village center, and the treehouse viewpoint. 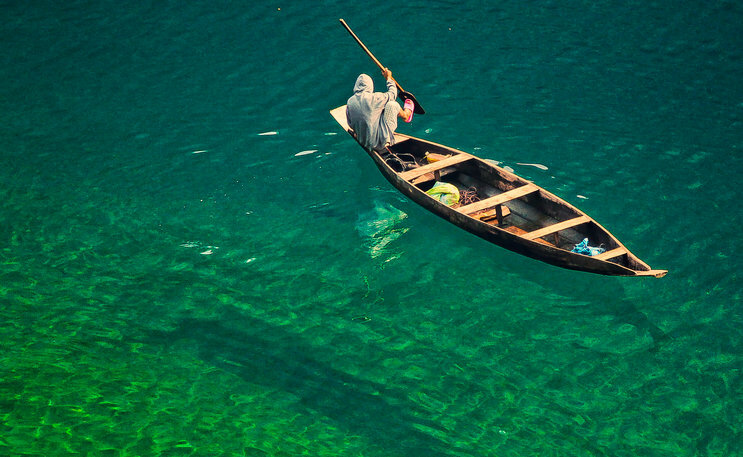 Later, ride to Dawki (1.25 hours/ 36 km), where you can enjoy boating in the crystal clear river. We will also visit the INDO-BANGLADESH border at Tamabil. In the afternoon, ride to Shillong, Spend the evening in the happening Police Bazar of Shillong. After breakfast, visit the famous Shillong attraction - Air Force Station viewpoint. From the viewpoint, you can see entire city Shillong, the Scotland of the east! Later, head to Guwahati airport - you will be dropped around 2 pm (traffic permitting). Please book your departure flights accordingly. End the tour with beautiful memories!